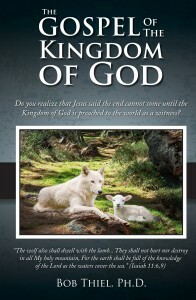 HWA warned that many COG members may not make it into God’s Kingdom: What about you? Some of You May Not Make It Into God’s Kingdom – Does It Mean YOU? I wonder if YOU really do understand the difference! This world is SATAN’S world — not God’s. Satan is a DECEIVER! This world is DECEIVED! But often I wonder, dear brethren, how many of YOU have really come to see the difference! How many of OUR brethren just substitute “the Kingdom” for going to heaven, and think we “get into the Kingdom” the same way they think they shall go to heaven — just by having somehow professed to have “accepted Christ”! They MISS God’s whole PURPOSE in saving us. Do NOT SOME OF YOU, ALSO? Just WHAT is this important matter of salvation all about? The first created man, Adam, disobeyed God. He followed his wife Eve in choosing SATAN’S “GET” way of life, rejecting God’s spiritual LAW, which is God’s WAY OF LIFE love to God and outflowing LOVE to other people! God had, long before creating Adam, set the super archangel LUCIFER on the THRONE with power to RULE over all the earth. When Lucifer rejected God’s LAW — God’s WAY OF LIFE — he abrogated the GOVERNMENT OF GOD on earth, and he became SATAN THE DEVIL. But it is the law of God’s government over the universe that SATAN must remain on that throne, with SUPERNATURAL POWER OVER ALL THE EARTH, UNTIL the government of God is restored, and CHRIST is sitting on that throne with supreme POWER to rule all the earth — when Satan shall be banished from the earth. So Satan was still there to deceive Eve and lead Adam into SIN. After the beginning of the New Testament Church, SATAN was still there. The apostle Paul wrote to the Corinthian church: “But I fear, lest by any means, as the serpent beguiled Eve through his subtlety, so your minds should be corrupted” (II Cor. 11:3). Satan is still on that throne today, deceiving, misleading the world. And I have to often wonder, as Paul did in writing the church at Corinth, if Satan is deceiving some of YOU dear brethren? So I appeal earnestly to you to listen and to THINK ABOUT THIS! Adam cut himself and HIS FAMILY off from God — from God’s LAW — from God’s GOVERNMENT! Now WHAT IS GOD’S PURPOSE? WHY did He create humans and put us humans here on earth? LISTEN! UNDERSTAND THIS! God is reproducing Himself! He is begetting human PEOPLE as HIS very own CHILDREN. His children together with Him and with Christ will become the GOD FAMILY! There will be, in His Kingdom, God the FATHER, Christ the SON and we of the Church as Christ’s WIFE — married to Christ at the time of the resurrection at His Second Coming to earth — at the final making of the NEW COVENANT, which is the NEW Covenant! It will make us of the Church — then made immortal GOD BEINGS composed of immortal spirit — both the children of God and the Wife of Christ — the GOD FAMILY — and called also THE KINGDOM OF GOD! Now we talk about “making it into the Kingdom.” What do we mean? We mean making it into God’s own FAMILY! We shall be a FAMILY — the GOD FAMILY! Now to train us to be a part of that divine FAMILY, God made us male and female. God ordained the marriage union and the human FAMILY. God intended us to LEARN HIS KIND OF FAMILY RELATIONSHIP in our own FAMILY LIFE here in this present life! Now keep that in mind. I’m coming back to it. But keep also in mind something else. Since Adam failed to resist Satan and to restore the GOVERNMENT OF GOD, none of Adam’s children could overcome Satan and qualify to replace Satan on that throne over all the earth and to RESTORE the government of God. So finally God sent His OWN Son, His only-begotten Son, to become human as well as divine. Jesus was GOD in human flesh — God as well as MAN. He was the ONLY human ever able to obey God’s great spiritual LAW perfectly, resist and conquer Satan and QUALIFY to RESTORE the GOVERNMENT OF GOD on earth! More than that, He was able to set us an example of living THE WAY of God’s spiritual LAW, to die for us, paying for us the penalty of our sins, and to be resurrected by the FATHER, thus making our resurrection and immortal life possible — so that WE may become God’s CHILDREN in GOD’S FAMILY, and born GOD BEINGS. We together with God and with Christ shall form THE. KINGDOM OF GOD, RULING ALL THE EARTH WITH THE GOVERNMENT OF GOD. Satan then shall be banished. Now Adam cut himself and HIS family OFF from God and from receiving God’s Holy Spirit. God made Adam’s decision BINDING on Adam’s FAMILY who form the whole world — UNTIL the GOVERNMENT OF GOD is RESTORED and Satan is banished, so Satan cannot lead humanity any longer AWAY FROM GOD! And that means UNTIL the Second Coming of CHRIST and restoration of GOD’S GOVERNMENT by the Kingdom of God. Meanwhile God made an exception in cutting Adam’s FAMILY off from God. God called Abraham out of Satan’s world, and 430 years later Abraham’s children to become God’s NATION. To them He gave the OLD Covenant — a marriage covenant that made them the wife of Yahweh who was to be born as Jesus later. God gave them His spiritual law but they, like the first Adam, refused to obey it. Only the prophets of Israel obeyed, and only they shall be in Goo’s KINGDOM WITH GOD’S CHURCH! Then when Jesus came and QUALIFIED to depose Satan and RESTORE the GOVERNMENT OF GOD and for Himself to sit on that THRONE with power to rule the whole earth, God the Father called certain ones HE chose. He called them to come OUT OF THIS WORLD — out of SATAN’S world — to receive His Holy Spirit. This begat them as His CHILDREN, in His BEGOTTEN FAMILY. He called us out of the world, to be SEPARATE FROM the world. To Live a FAMILY LIFE to prepare us for the FAMILY LIFE that shall be HIS KINGDOM! Now UNDERSTAND THIS! I’m afraid many of you have NOT understood it! The KINGDOM is the divine FAMILY of God. If we cannot live as a FAMILY should live, according to God’s SPIRITUAL LAW, now, while in God’s Church, WE SIMPLY WON’T MAKE IT INTO God’s KINGDOM (which is His divine FAMILY!). YOU SIMPLY WON’T MAKE IT INTO THE KINGDOM! I MEAN THAT! It is LIFE AND DEATH for ALL ETERNITY! We found at the summer SEP camp at Orr, Minn., that in many cases the children DO NOT EAT WITH THEIR PARENTS AT HOME! It is reported to me that many of you are LAX in child training and in teaching your little children! You ARE NEGLECTING YOUR FAMILY LIFE. And you may be NEGLECTING SO GREAT SALVATION. Listen to what God SAYS! “How shall we [we’ in the Church] escape, if we NEGLECT so great salvation?” (Heb. 2:3). … many of you are NEGLECTING your very salvation! Five years after the above was published Herbert W. Armstrong died. His successor was NOT faithful and led what was perhaps one of the largest ‘falling aways’ in the history of the Church of God (see The Falling Away: The Bible and WCG Teachings). Thus, Herbert W. Armstrong was correct to warn people who thought they were Christians that they may not make it into the Kingdom of God. Nowadays, most Christians do not accept proper church governance–though Herbert W. Armstrong emphasized that a lot in his final years on Earth for Philadephian Christians. …the final generation of the Church shall be LUKEWARM — not less emotional, but more ‘liberal,’ more secular and less spiritual — less strictly biblical –” “Speaking of the present ‘Philadelphia’ era, it says…because we have kept God’s Word faithfully, not liberalizing nor watering down, God will keep us from the ‘hour of temptation, which shall come upon all them that dwell on the earth’ to try and test them. (Armstrong HW. Personal from Herbert W. Armstrong. Plain Truth, August 1980). But, the BAD NEWS, as it appears today, my dear brethren, is that we, undoubtedly of the Philadelphian era…are in serious danger of BECOMING also the Laodicean era. I am personally much concerned about that. If YOU are NOT concerned, then indeed we are in mortal DANGER. (Armstrong HW. Personal from Herbert W. Armstrong. Good News, August 1979). After Herbert W. Armstrong’s death, not only was there a falling away (see The Falling Away: The Bible and WCG Teachings), it has become clear that the Laodicean era has been upon us. Sadly, most who did not fall away from Christianity have drifted into Laodiceanism. ‘These things says the Amen, the Faithful and True Witness, the Beginning of the creation of God: 15 “I know your works, that you are neither cold nor hot. I could wish you were cold or hot. 16 So then, because you are lukewarm, and neither cold nor hot, I will vomit you out of My mouth. 17 Because you say, ‘I am rich, have become wealthy, and have need of nothing’ — and do not know that you are wretched, miserable, poor, blind, and naked — 18 I counsel you to buy from Me gold refined in the fire, that you may be rich; and white garments, that you may be clothed, that the shame of your nakedness may not be revealed; and anoint your eyes with eye salve, that you may see. 19 As many as I love, I rebuke and chasten. Therefore be zealous and repent. 20 Behold, I stand at the door and knock. If anyone hears My voice and opens the door, I will come in to him and dine with him, and he with Me. 21 To him who overcomes I will grant to sit with Me on My throne, as I also overcame and sat down with My Father on His throne. In the end times, MOST true Christians will be Laodicean. It is not that the Laodiceans cannot enter the Kingdom of God, but they have issues that they need to change–and risk severe chastisement in this life if they do not repent. Support the remnant of the Philadephian era and God’s work today. Do not delay (cf. Zephaniah 2:1-3). Christian Repentance Do you know what repentance is? Is it really necessary for salvation? A related sermon is Confess to God and truly repent. There is a Place of Safety for the Philadelphians. Why it May Be Near Petra This article discusses a biblical ‘place of safety’ and includes quotes from the Bible and Herbert W. Armstrong on this subject–thus, there is a biblically supported alternative to the rapture theory. There is also a video on the subject: Might Petra be the Place of Safety? Here is something related in the Spanish language: Hay un lugar de seguridad para los Filadelfinos. ¿Puede ser Petra? CCOG’s Five Years of Listening to God Jesus warned Christians to hear the messages to the churches. CCOG is doing so. A related sermon is also available: CCOG’s Five Years of Listening to God. This entry was posted on Friday, February 16th, 2018 at 12:01 am	and is filed under Doctrine, WCG News. HWA: Some of You May Not Make It Into God’s Kingdom – Does It Mean YOU? Vatican City, St. Peter’s, and Satan’s Throne?